The DigitaLiza a scanning mask that lets you scan your negatives and slides including perforations on any common flatbed scanner. It works really well with those annoying curly negatives and it’s much sturdier than those flimsy masks that came with your scanner. I first heard of it when the Spinner 360 came out. Until now, when I wanted to scan film with sprockets, I had to sello-tape the edges to a a wet mount that came with my scanner (it’s a piece of glass really). This often leads to newton rings where the film touches the glass. Not so with the DigitaLiza. For only £25 I thought I’d check it out. The magic happens via magnets which hold the bottom plate onto the lid while holding it in place. It’s simple. It’s genius! You open up the holder, place the metal plate at the bottom, roll out your film and put the lid on top. Then you close the holder, remove the lid and bottom plate and – tada: flat film, ready for scanning. Please note that you can only fit up to two masks next to each other onto an A4 flatbed scanner – three is a bit too much. What I really like about it is that you don’t have to fiddle with plastic that snaps on or off and constantly threatens to break. What would I do if my Epson Scanner Mask breaks? Can I buy a new one? And how much would that cost? The DigitaLiza comes in both 35mm and Medium Format, the latter of which I haven’t tried yet but I will when my next roll of curly Holga film is ready. I found this gadget to be a valuable tool for scanning workflow at a very reasonable price. When before you could set off 24 pictures and let the scanner do its work, now you’re being asked for user intervention after one (or two) film strips. But that’s just what happens when you use mad cameras that require you to scan sprockets. Hey…nice article! I totally love my digitaliza! 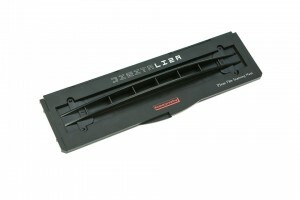 The more unique products LSI comes out with the more people will jump back into film! problem with that overpriced holder from lomo (that you’d get an equivalent of with the epson scanner he uses there) is that it still requires a film dedicated scanner like the epson to work. note the scanning being done by the light from the top of the scanner and the glass bottom. most scanners (canon included, poss all but epson) scan from the base upwards into a glassless, solid surface. the scanner he uses in the vid comes with film hoders for 35 and larger formats (medium etc) that 35mm will fit into allowing the whole film to be scanned as desired. if your scanner doesn’t have a glass top AND bottom, then light won’t be able to pass through the film and be scanned. don’t pay the £25 to discover this! 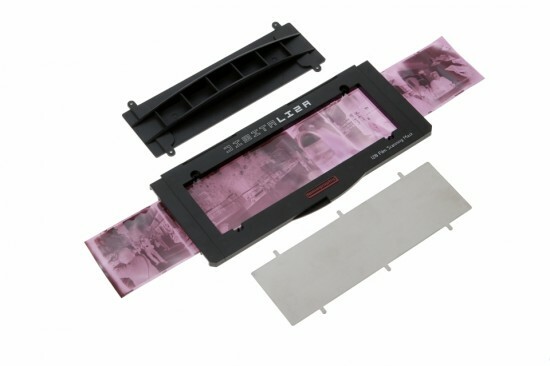 I hear your pain and disappopintment… but the ability to scan negatives has nothing to do with a film holder, which is essentially what the DigitaLiza is. That is of course down to the scanner’s abilities, and a HP all-in-one jobby for under £80just doesn’t scan negatives. If you can’t scan negs without the DigitaLiza, then spending £25 won’t add this ability as if my magic. It doesn’t claim to do that either. I don’t know the exact science here, but transparency scanners work different to reflective scanners: like you say, one scans the reflected light from a white surface (like a picture or a piece of paper), the other shines light through a transparency (negative or positive) and records the results. All the DigitaLiza does is to make it easy for perforations to be scanned, which ordinairy masks usually crop off. I still find it an extremely useful tool and £25 is a fair price. But then, my scanner was about £500 and its included 35mm mask has broken so I’m grateful for a cheap replacement. I have a question that i have been struggling to get an answer for from the Lomography website about this digitaLIZA mask, fingers crossed you can help me! 🙂 If i have a section of film that is half the length of the mask, will the digitaLIZA still be able to hold it ok so i can scan it? Or MUST the film be the full length as the mask for it to hold it ok? Thanks very much for any help! Rory. Sorry, i forgot to say, it is the 35mm mask i am asking about, if that makes a difference! lol. thanks! you’ve come to the right place 😉 Yes you can still can the film, no matter how long it is. The mask is the length of 6 standard negative pictures long, but it has grooves on either side – so the negative could even be longer. There is no minimum length requirement, so a single frame will still be held in place. The negative is held by its outer edges above and below the sprockets, I’d say only at about 1-2mm so everything else can be scanned. It works well with really flat negatives, but if they curl lengthwise it can be a bit cumbersome (because you’re running out of width). If you’re close to a Lomography store, ask them to demonstrate it with an old piece of film. That’s a tough one, I’ve bought the Epson Perfection V750 but that’s a rather pricey machine. The scans look great and it works fine with the DigitaLiza both in 35mm and 120. I can’t comment on other scanners as I’ve only got experience with the Epson V750.